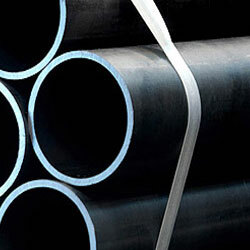 Aesterion Steel Pipes is a leading Boiler Tube Manufacturer in India. 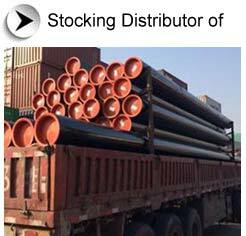 We export & supply a wide range of Jindal boiler tubes, ibr boiler tubes, non ibr boiler, Boiler tubes for higher temperatures, welded boiler tubing, boiler steel tubing, fabricated and straight boiler tube. Aesteiron Steel Pipes has an extensive range of boiler and stay tubes available to meet your boiler tube requirements no matter how demanding. The tube dimensions range from 10.2 mm to 139.7 mm, from 26.9 mm diameter and the wall thickness from 2.6 mm and they supplied as hot rolled. The smaller diameter tubes and the thick wall tubes of larger diameters are supplied as cold drawn and subsequently they are heat treated. The tubes delivery in this condition happens only if there is an agreement upfront at the time of ordering the tubes. Based on an agreement it is possible to deliver boiler tubes with dimensions and tolerances according to the dimensional specifications for precision tubes. The tube dimensions meet the requirements of the following EN 10216-2, DIN 2448, BS 3059-1, BS 3059-2, BS 3602-1, BS 3604-1, NF A 49-211, NF A 49-213, UNI 4991, STN 42 5715, STN 42 5716, ?SN 425715, ?SN 42 5716, GOST 8732, PN-H 74252, ANSI B36.10, ASME B36.10. The detailed dimensional overview is shown in the tables according to EN, DIN, BS, NF A, UNI, STN, ?SN and PN-H standards, GOST standards, TU standards, ANSI standards,ASME standards and standards for precision tubes. The boiler tubes are made from the following steels according to EN 10216-2: P195GH, P235GH, P265GH, 16Mo3, 14MoV6-2, 14MoV6-3, 10CrMo5-5, 13CrMo4-5, 10CrMo9-10, 11CrMo9-10, 25CrMo4, T2, T24, T5,T91; ASTM A 106: Grade A, Grade B, Grade C. Additional steel grades according to DIN 17175, BS 3059-1, BS 3059-2, BS 3602-1, BS 3604-1, NFA 49-211, NF A 49-213, UNI 5462, GOST 8731, GOST 4543, GOST 20072 and PN-H 74252 and its chemical composition and mechanical properties are shown in a separate overview. 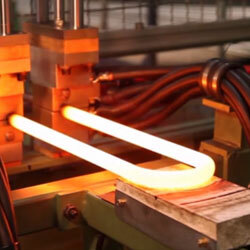 The boiler tubes are tested only with a specified testing.